Here is one of the gifts Greg gave me for my birthday yesterday. 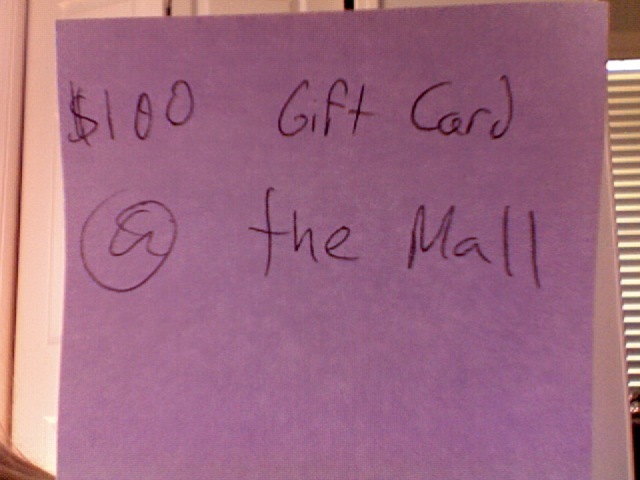 It is a post-it note that says "$100 Gift Card @ the Mall." 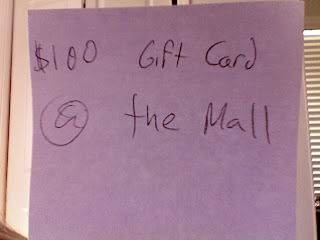 I thought it was a joke, but he says if I present it at any store with our credit card it will work! Haha! I love him.